Ethiopia, the world’s fifth largest coffee producer and home of arabica, has overhauled the way it markets the commodity in a bid to increase export earnings and clamp down on a thriving domestic black market. Experts say the reforms, which centre on improving traceability of beans and stimulating higher quality production, could transform the global speciality coffee market because of the expected increased supply from one of the world’s premier producers. Arkebe Oqubay, the government minister overseeing the reform, said he hopes the changes, which are modelled on Colombia’s experience, will see Ethiopia’s annual coffee exports soar from their current $1bn. Under the old arrangements, which were introduced in 2008, the vast majority of coffee was transported to the Ethiopian Commodity Exchange, mixed and then auctioned. This resulted in it losing much of its value because its origin was untraceable, a key requirement in the speciality industry. With little incentive to produce high-quality beans, many of the estimated 5m Ethiopian coffee farmers paid little attention to improving the standard of their crop. It also led to prices on the booming domestic market exceeding export prices, stimulating the former. Now all coffee will be kept separate until it is auctioned, enabling full traceability and overseas companies will be allowed to plant coffee and export it directly. All government activity related to coffee will also be brought under one roof to reduce bureaucracy. Menno Simons, chief executive of Trabocca, a Netherlands-based supplier of speciality and certified green coffee, said the reforms are likely to “make a real impact” because “it should now be easier for us to identify the great coffees and trace them”. Kenyan speciality coffees usually sell for more than double Ethiopian varieties as direct relationships between growers, roasters and exporters offer traceability of the coffee beans. 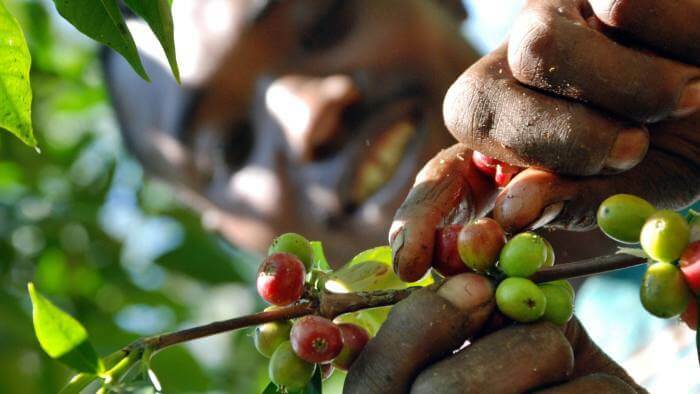 Ethiopia produced about 400,000 tonnes of coffee last year, of which some 50 per cent was exported, according to the International Coffee Organisation. However, Mr Arkebe said that because of black market activity and a weak bureaucracy, production was possibly 50 per cent higher than this, with the additional beans being sold locally. Mr Abdullah said it was unclear when the effect of the reforms would be felt because it is hard to make major changes in the middle of the season. “My fallback position is that everything will be in place for the start of the next season in October. But some changes will be in place sooner,” he said.